It's summer. A time of year that I just love. Sunshine is just so good and I find it a time to reflect on the year that was. As a designer it's also the time of year when all your hard work during the years comes to fruition. Here's just a picture of one of my works from the exhibition. 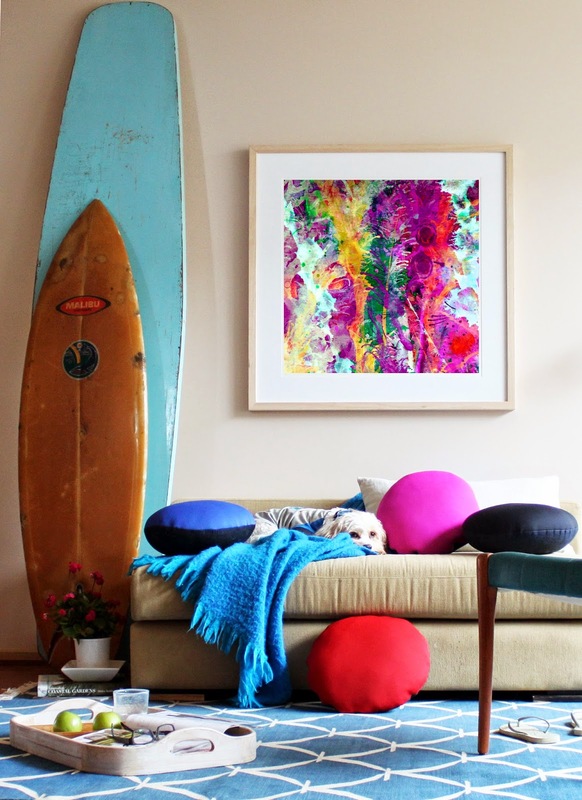 You might also notice in the picture some bright cushions which are made from one of my new obsession, neoprene - I have big plans for it. (now available online at www.maryla.com.au ). 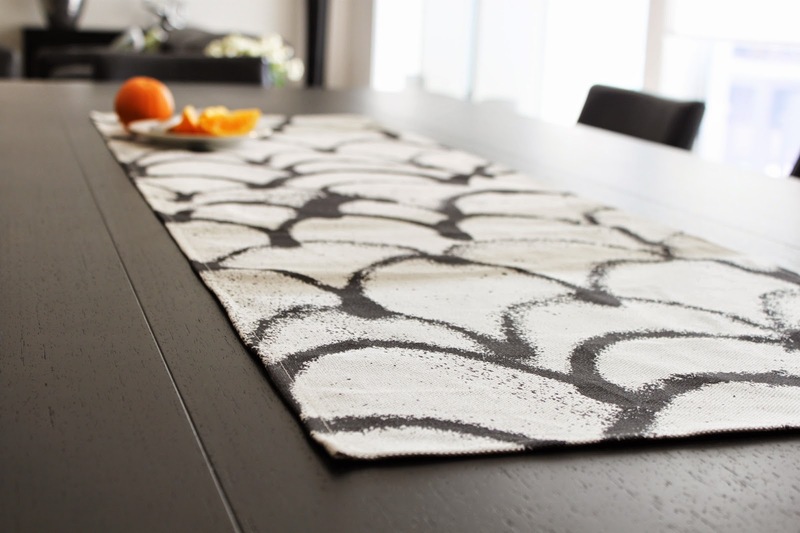 One of my favourite table runners is my fishscale design. This pattern is not new, but I've tried to create something a little more organic in it's shape and form. I also have big plans for this style!